Shraddha Kapoor to Tie the Knot With Celebrity Photographer Rohan Shrestha in 2020? Shraddha Kapoor has impressed us all with her impeccable performances. The actress who has some amazing projects in her kitty, is presently busy shooting for her upcoming film Saaho in which she would be sharing screen space with south superstar Prabhas. Besides work, the actress has been topping the headlines for her relationship with celebrity photographer, Rohan Shrestha. And the buzz is, the actress would be tying the knot with her rumoured boyfriend in 2020. Shraddha Kapoor’s Rumoured Boyfriend Rohan Shrestha Posts a Cute Picture of Her As a Birthday Wish. The source also mentioned that Shraddha Kapoor’s parents wants their daughter to her relationship to the next level. About it the source was further quoted saying, “She is 33. Her parents have been convincing her to take the big step. She’s finally heard them out and has spoken to Rohan about the same. If all goes fine, Shraddha will turn missus by early next year.” There have been numerous times when Shraddha and Rohan Shraddha were spotted together but, the rumoured couple have not made anything official yet. 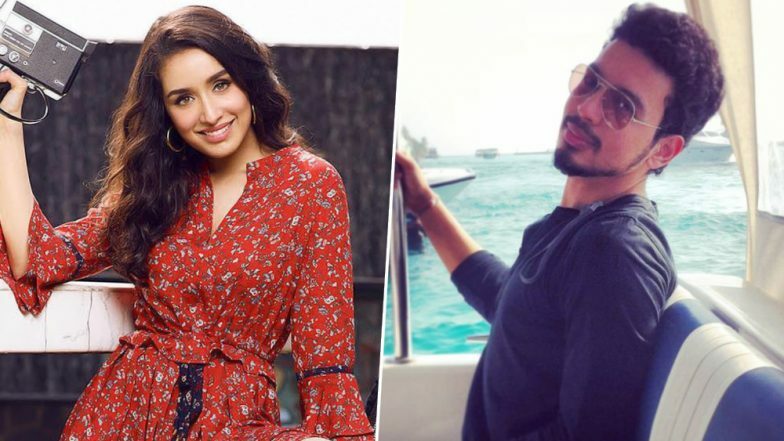 Shraddha Kapoor’s Rumoured Boyfriend, Rohan Shrestha Was the Reason She Was Invited to DeepVeer's Intimate Reception Party in Mumbai. Shraddha Kapoor has been linked to some of the leading men of Bollywood which included Farhan Akhtar and her Aashiqui 2 co-star Aditya Roy Kapur. Farhan is currently dating Shibani Dandekar and the duo has also dropped hints, that they might get hitched soon. Stay tuned for further updates.